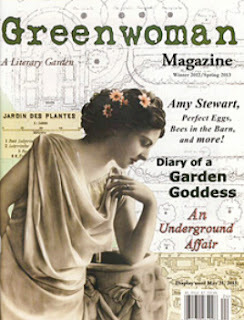 I just received my first copy of Greenwoman Magazine. It is a great read full of fiction, poetry, and essays with a nature and gardening theme. Publisher, Sandra Knauf, describes it as a literary garden. It is all that and more. I am really enjoying the read.